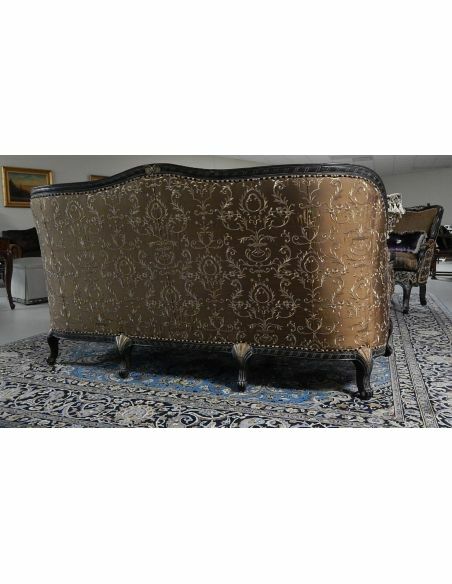 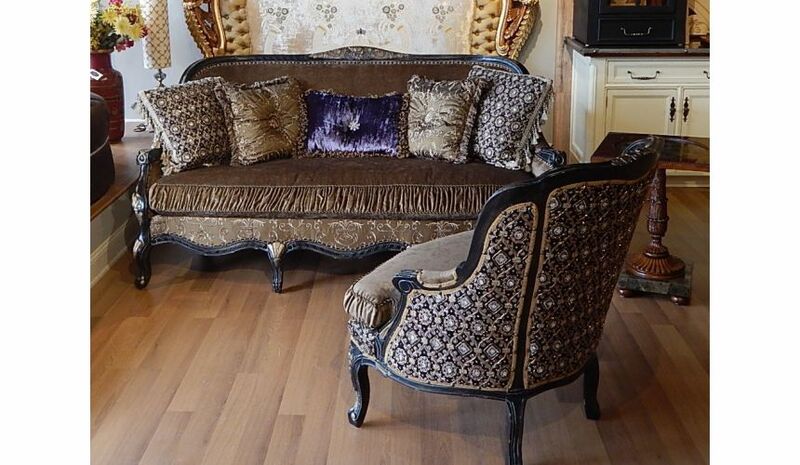 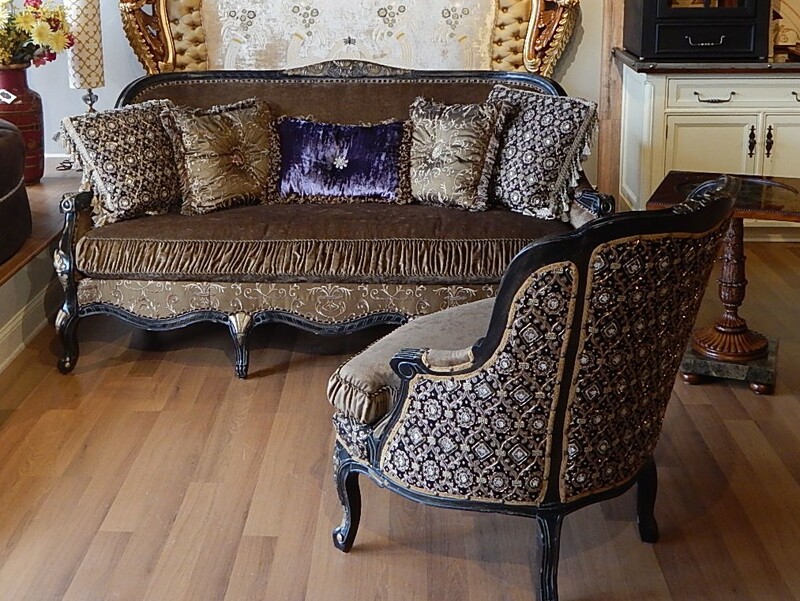 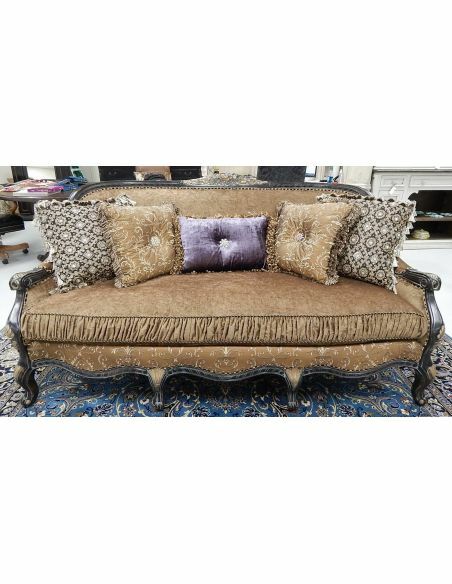 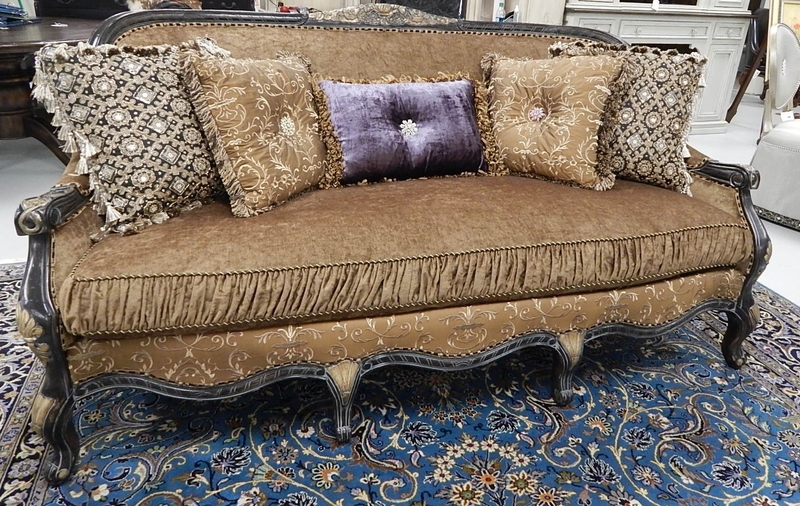 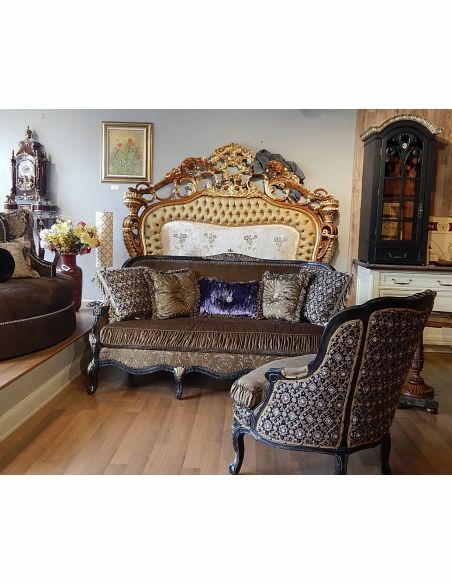 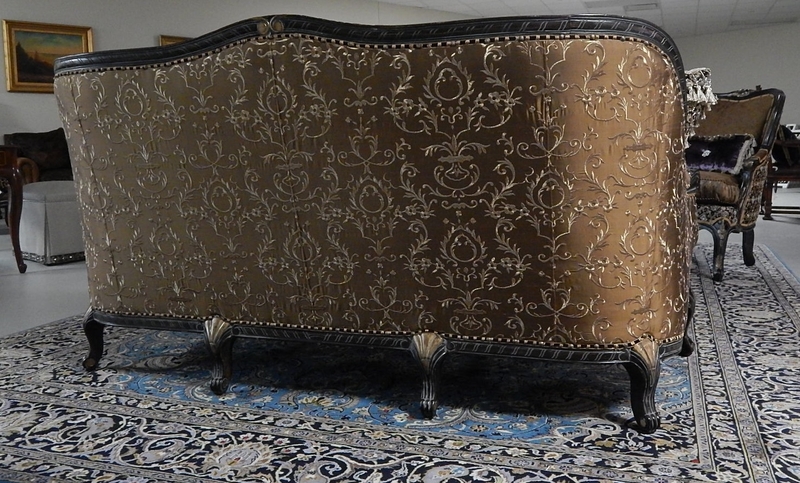 22 Victorian style sofa with a black and gold color theme. 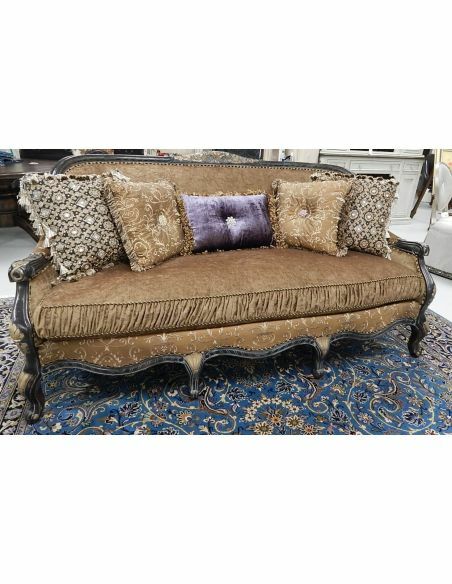 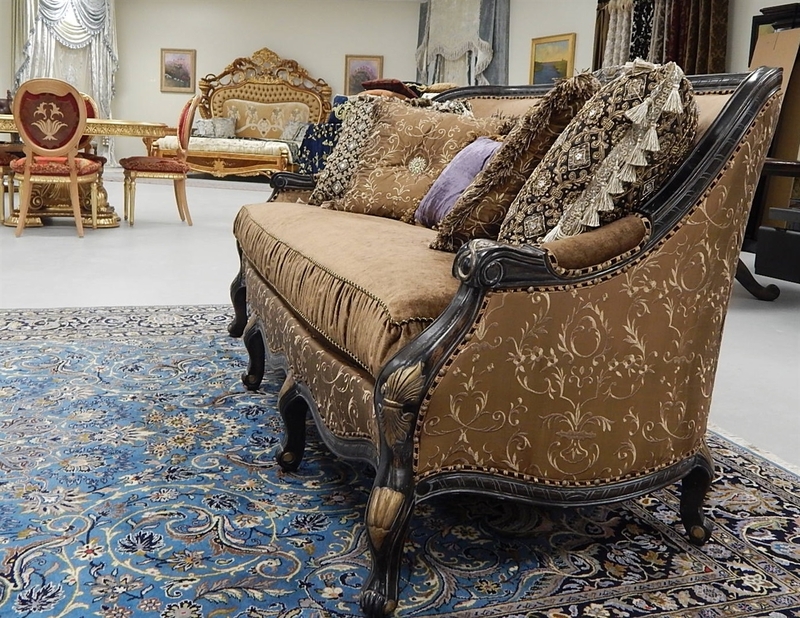 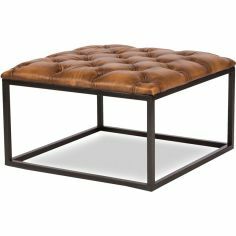 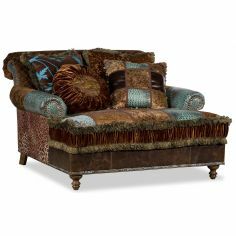 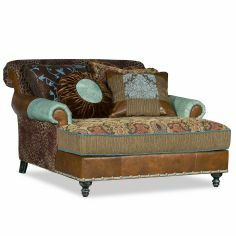 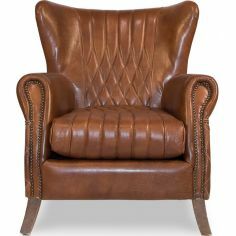 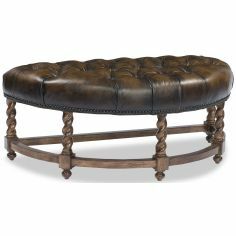 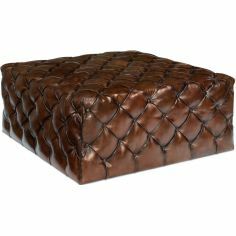 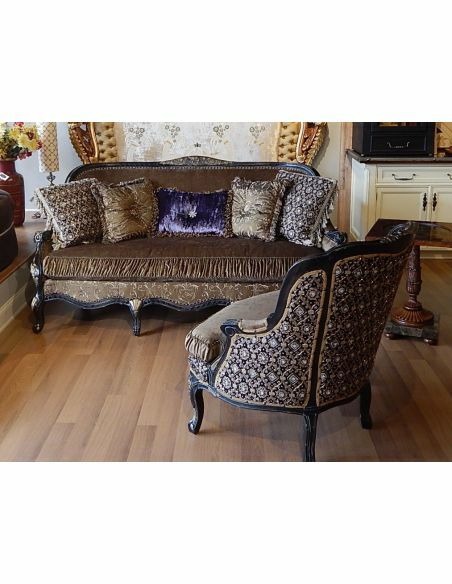 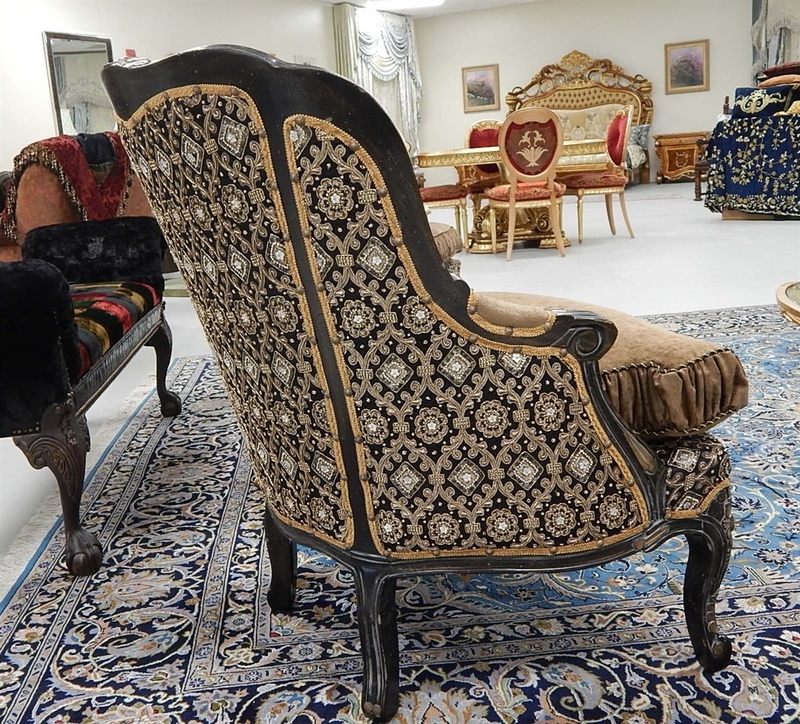 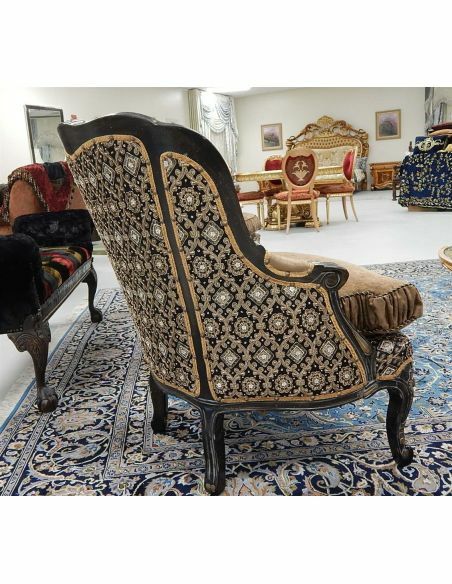 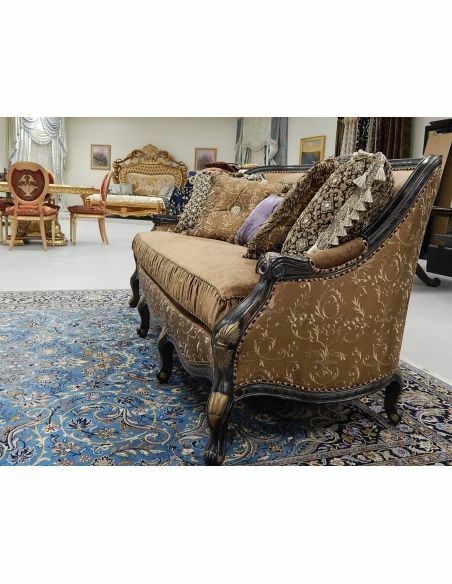 Home > LUXURY FURNITURE>Luxury Leather & Upholstered Furniture>22 Victorian style sofa with a black and gold color theme. 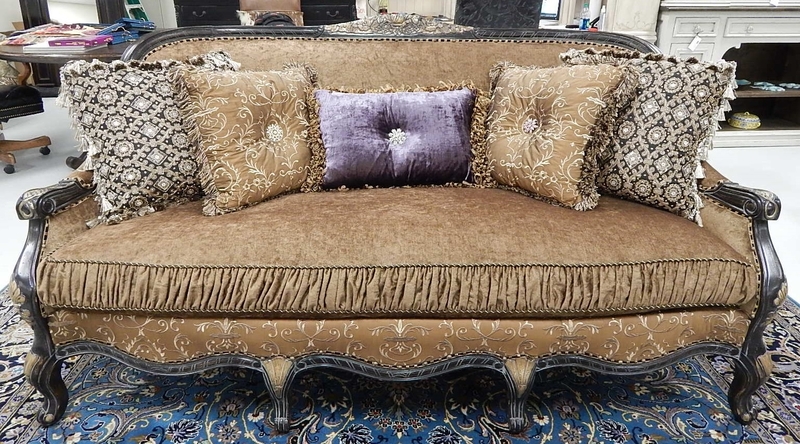 Gold metal thread embroidered silk fabrics with hand sown jeweled pillows. 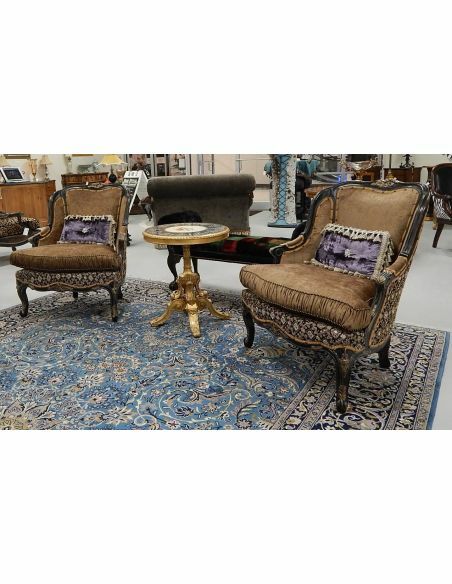 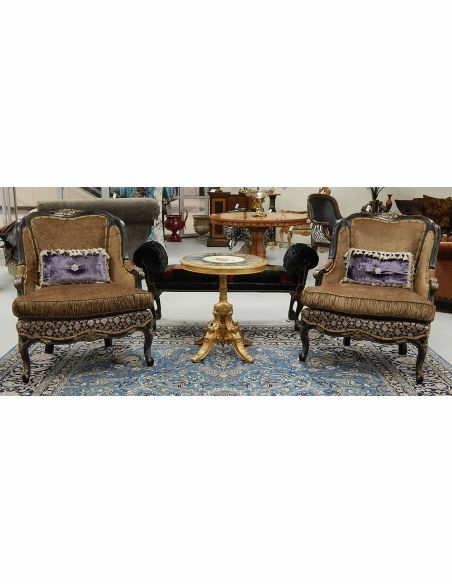 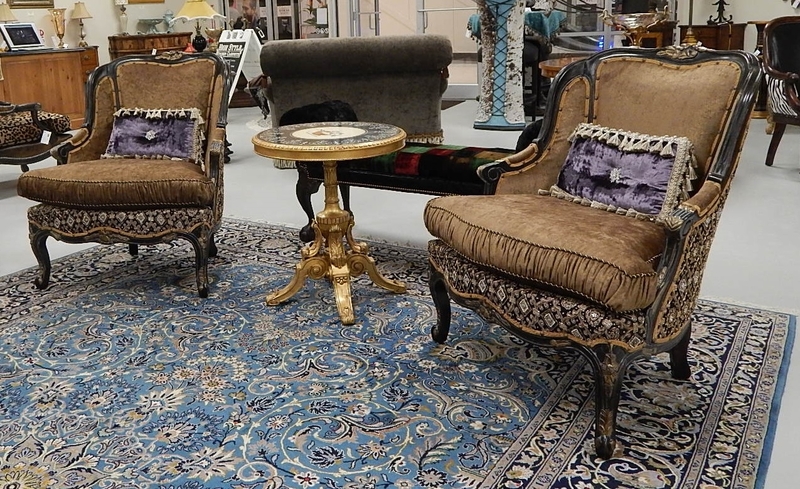 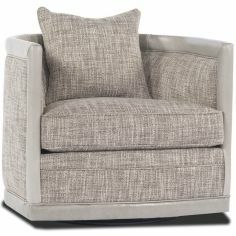 Matching chairs shown $3,495.00 each. 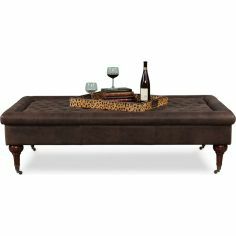 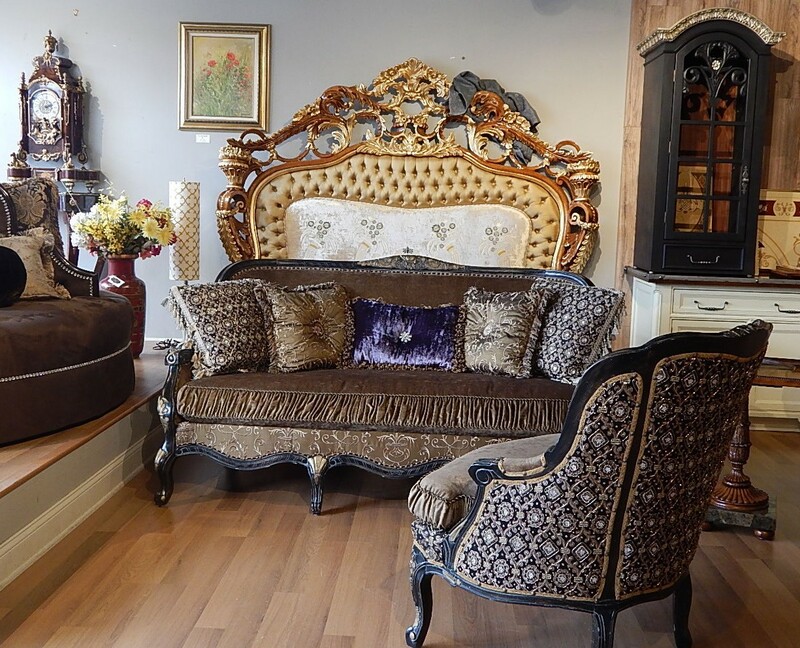 Bernadette Livingston Furniture makes it easy for you to decorate your home with professionally designed unique furniture of the highest quality, an outstanding value.